Experience In Operating Is As Important As Drill Site Selection! Red Fork Production, LLC, founded in 1996, is in the business of Resource Balancing. We are deeply affected by the balance of nature, both above ground and below. We work very closely with our land and our mineral owners, and are very careful to create a positive impact in our operations. We exercise more care and prudence than is expected of us by the various regulatory agencies, not because we are forced, but because we believe. We initiate, develop and maintain a mutually beneficial relationship with our surface and mineral resource partners. We are cognizant of their concerns, and we initiate many permanent improvements to their domain. In addition, all phases of our operations are geared toward protecting the Asset, and we exercise every practice to conserve and maximize reservoir drainage to achieve the greatest recovery of our planet’s scarce hydrocarbon reserves. Red Fork understands that a lean company means a quicker payout. Thats one of the reasons we have never borrowed againsed our recoverable reserves and are proud to say we are debt free! Over 200 Years of Experience! 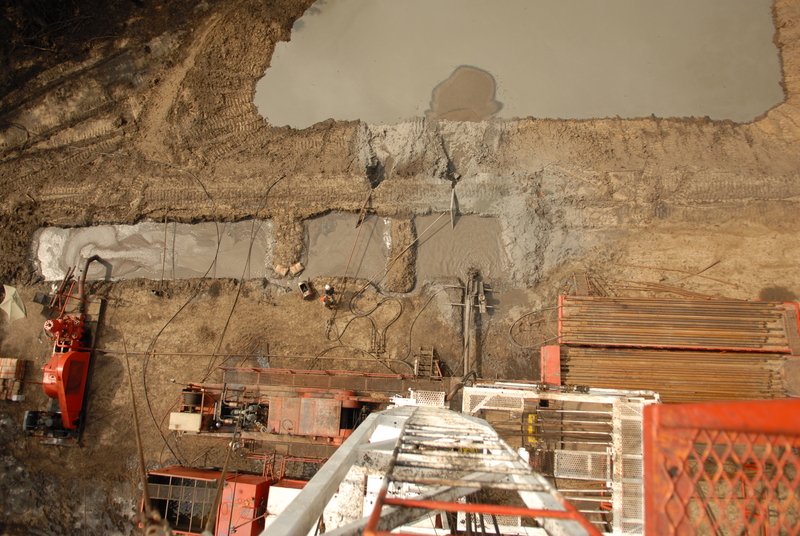 Experience in drilling is as Important as Drill Site Selection! There is absolutely no substitute for Experience! This industry is so complex that knowledge is nice and will reduce the mistakes you make, but to really get through all the myriad pitfalls to monthly mailbox money, you need experience. Knowledge with luck will sometimes work, but experience with patience will always work. Our philosophy is that we are all in this together and that our operations are completely transparent. Our partners are encouraged to visit us at our offices or at our field operations. We are always available, because no matter what else, we treat all our partners as full and life long partners. We are all Family on this journey, and we are all on this journey together. Red Fork is a fully licensed operating company. Which means we drill, test, complete and produce the asset until it is no longer commercially viable. The longer we get it to produce, the more money we make. The more money we make, the more money our partners make. The person who drills the well is the operator and the person who funds the well is the investor and in the perfect situation, operator and investor get together, drill the well and divide the profits. In the case of a licensed broker/dealer there is an operator and an investor but there is a third party who steps in between the deal, jacks up the price of the project and takes a piece of the pie up front, usually cutting into the investors portion of the protential profits. Being an operator, Red Fork cuts out the middle man, making sure our partners get the most out of every Joint Venture. 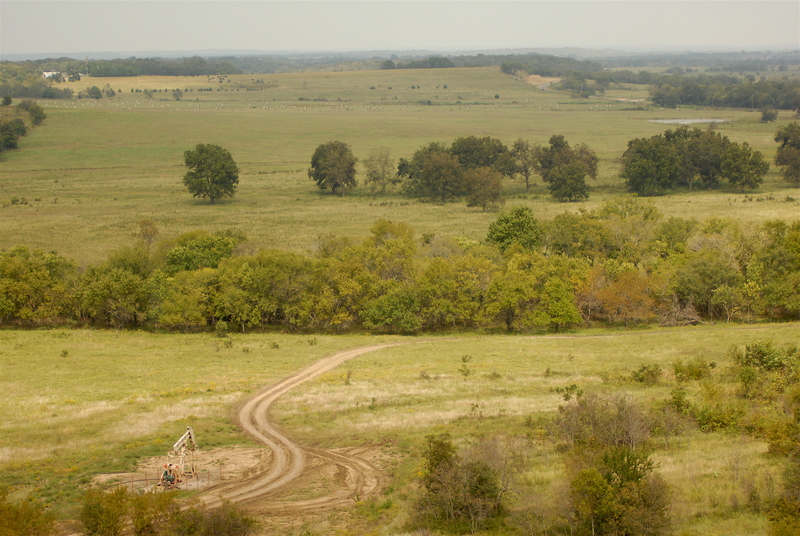 Red Fork Production is the Operator (in the driver's seat) on projects in Oklahoma with many larger companies. These Companies have elected to financially participate in our programs, but to relinquish any and all operational control. Even though we are a small company, our reputation is such that they trust us to ethically and operationally control every aspect of the project. These larger, well-known companies have enough faith in our abilities that they have elected to financially participate in projects that we have discovered and developed. Most have held minority, passive investment positions with us for many years. We report monthly production data, including oil and gas sales, minus expenses (taxes, overhead and maintenance costs), using the same quarterly reporting systems we use with all our Working Interest Partners. Oklahoma is oil and gas friendly. 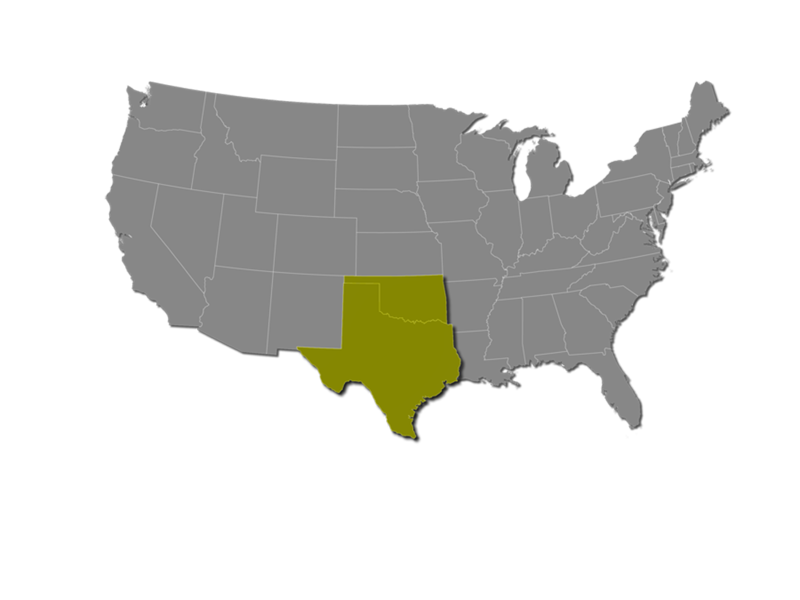 It is known as the "State that Oil Made," and it has a long memory. In many other states, there is hostility toward oil and gas exploration. 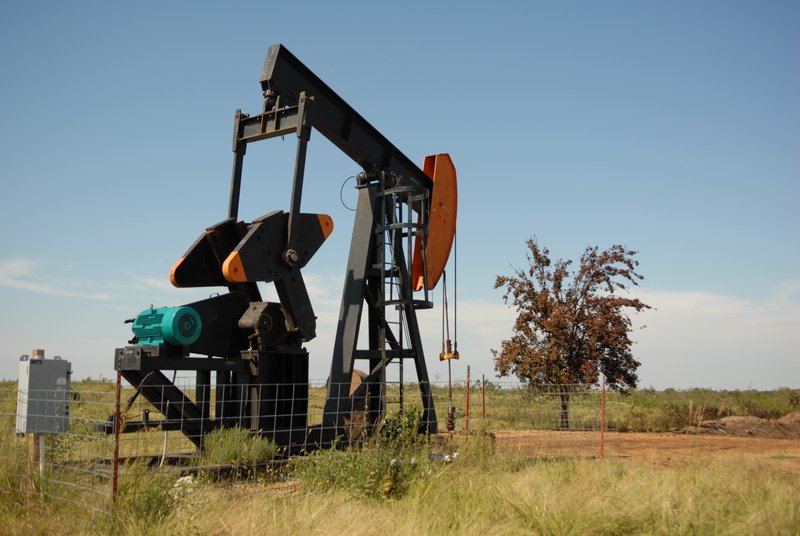 The laws of Oklahoma have been drafted to favor and encourage oil and gas activity. The Mineral Estate is a protected entity here, and it brings in much more tax revenue and employment than the Surface Estate, and it is treated with respect. Mr. Drew is on the hunt. It is a hunt that engages much of his waking moments, and the prize he is after is what he refers to as "deeply buried hills." These "deeply buried hills" are unique and rare subterranean expressions that manifest themselves in underground structural traps. Oil and gas will migrate up through any medium (the path of least resistance) as far as it can go, and these underground domes act as traps that allow hydrocarbons to accumulate. Kim Drew is one of the absolute best geologists when it comes to finding these areas. Some refer to this style of geology as "bump and slump" geology. A bump or camel's back in the underground landscape is good, but a slump is of no use. 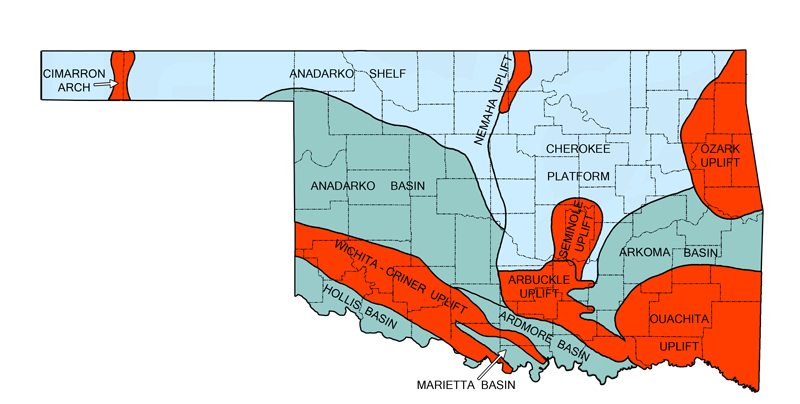 Nowhere is this style of geology more practiced than in Oklahoma and that is because there are very few places where the cause and effect are so closely linked one to another. And that is why we are so fortunate to have Mr. Drew leading us in the search for treasure. Once Kim has identified what he believes is an area of great interest, we bring in the second leg of the process, that is, we move from extrapolation to verification, which is where RadioMetrics Plus™ comes in. RadioMetrics Plus™, which is enhanced Gamma Ray Spectrometry, is the measure of variances in the natural radiation emanating out of the earth's surface. For any geographical area on Earth there will be a given radioactive concentration known as the background level. Variations either above or below the background level can indicate the concentration of certain substances in the subsurface. In oil exploration, one looks for dramatic drops in the background level. This phenomenon exists because hydrocarbons (oil and/or gas) absorb the radioactive emissions, thus lowering the background level. With the technology of Mr. Dunbar and Mr. Metcalfe, we are able to measure emissions from below the Red Dirt and their interpretation affords us a quantification that is invaluable. They are able, with their proprietary technology, to detect the presence or absence and, in the case of it being present, it can tell us the concentration of the hydrocarbons. So Kim identifies the "deeply buried hills" and Mr. Metcalfe and Mr. Dunbar verify the existence or absence of the hydrocarbons trapped therein. Across the broader swath of the oil field, this technology has proven 100% accurate in identifying where NOT to drill, and approximately 93% successful in locating commercial quantities of hydrocarbons. In the last five years well over one billion barrels of recoverable oil have been identified and subsequently discovered by the use of RadioMetric's Plus™. This is a valuable tool in our arsenal, and we are grateful and humbled to have as partners Mr. Dunbar (who is a distinguished Petroleum Geologist and Geophysicist) and Mr. Metcalfe (who is a renowned Petroleum Engineer). Their presence and support certainly help spell success for our endeavors. The third leg of our triangle is the depth at which the hydrocarbon accumulations reside. That is where the application of the Power Imaging occurs. 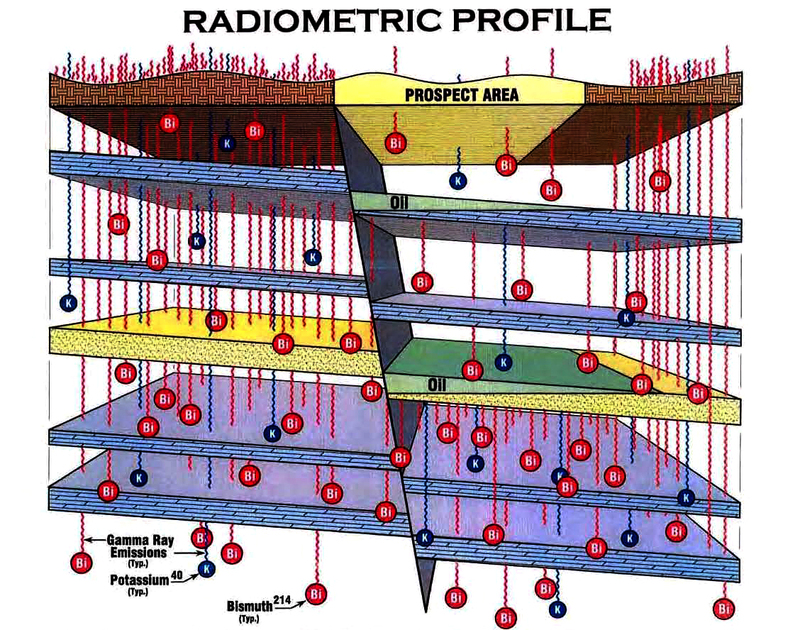 Even though the RadioMetrics Plus™ will tell us, for instance, that there are still commercial concentrations of hydrocarbons in a known or "abandoned" field, we do not know for sure if those hydrocarbons exist at the current, known producing zones or if there are more and bigger deposits deeper down. An electromagnetic (EM) survey is the measurement of the electrical conductivity (ease of electrical current passage) of rocks at various depths below the surface of the ground. This is accomplished by transmitting an electromagnetic pulse (i.e. radio wave) into the surface and capturing the returning electromagnetic waves for analyses. The data is recorded as multiple curves on a vertical depth chart. These stratigraphic features can be located on the recorded data chart. Where multiple surveys are run it may be possible to delineate the missing stratigraphic section created by faulting. By the differential ratio between certain curves on the data chart porosity or lack of porosity may be determined. 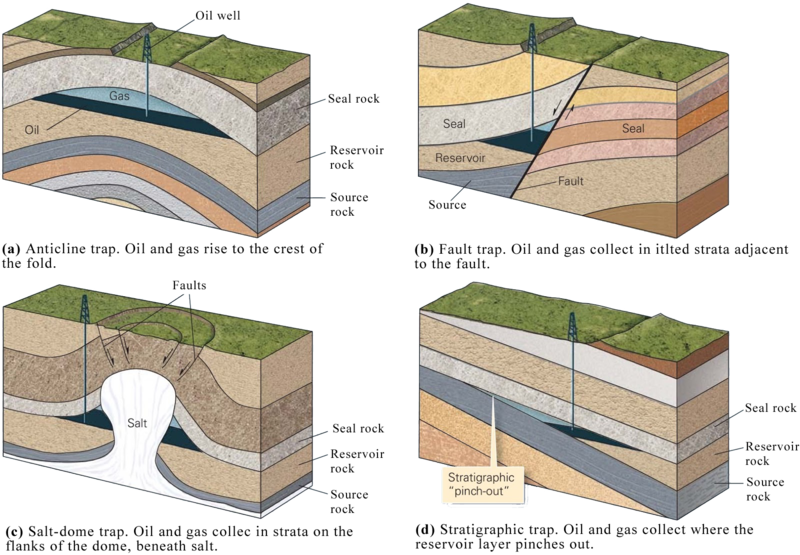 However, most importantly, stratigraphic zones that contain oil can be differentiated from zones that contain water. To reiterate, the value of the electromagnetic survey is to locate zones of potential at shallow or deep depths under a given location on the surface. The Depth Tool is the third leg of our triangle. Initially, a generalized area is surveyed at strategic points, but as the asset is developed, the survey points are tightened and the shot points become more concentrated. This allows us to position our target wells where the vein is the thickest, or where the producing veins are more numerous. 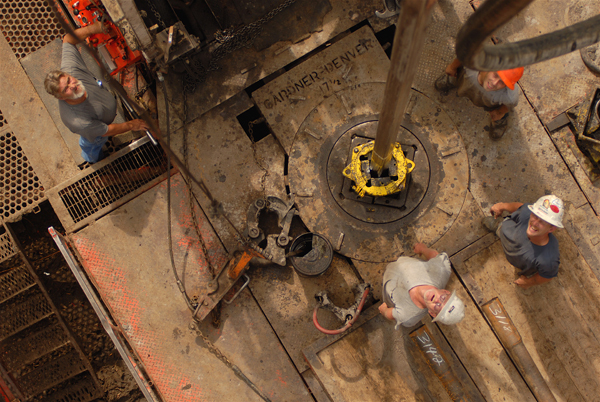 It is an invaluable tool, not just in the drilling process but also in the evaluation process before drilling begins. Red Clarion encourages our Partners to participate actively in our endeavors - by phone, mail, web, or especially, in person. 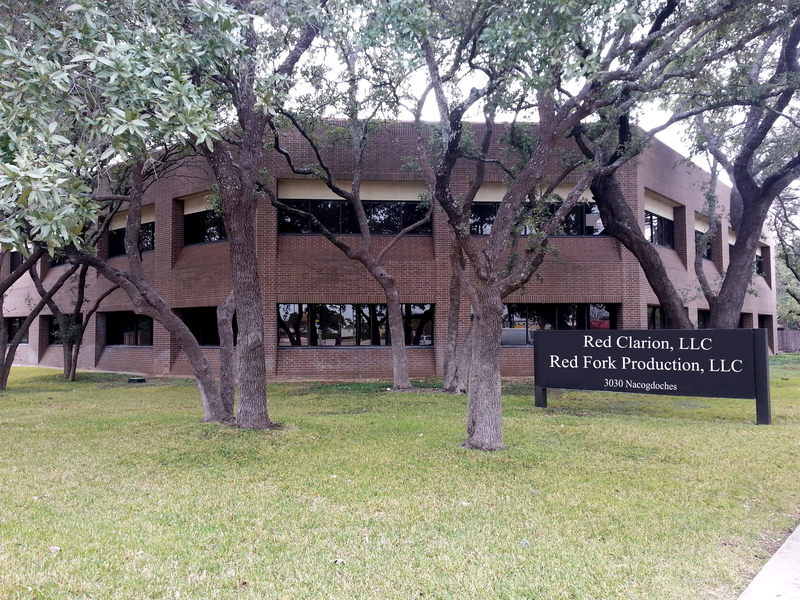 We would be honored for you to visit us in our San Antonio office, which is less than 10 minutes from the San Antonio International Airport. We also encourage and will make arrangements for our Partners who wish to visit our field operations. 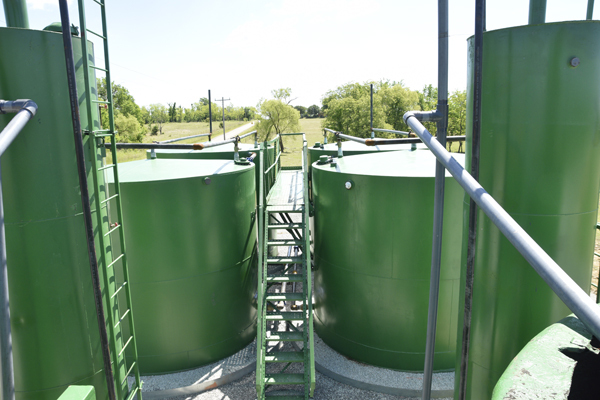 We can arrange for you to take a tour of the Drilling Rig, the Completion sites, or at our Production or Saltwater Disposal Facilities. We will coordinate everything, because we want you to be involved with and see first hand the oilfield in action.